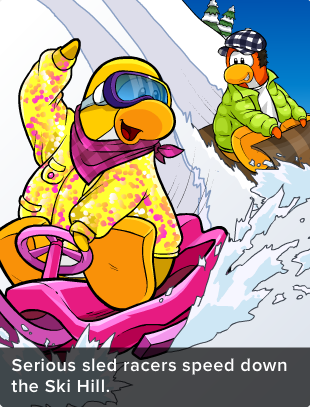 Club Penguin Cheats by Mimo777 Club Penguin Cheats by Mimo777: Club Penguin Times Issue 303! 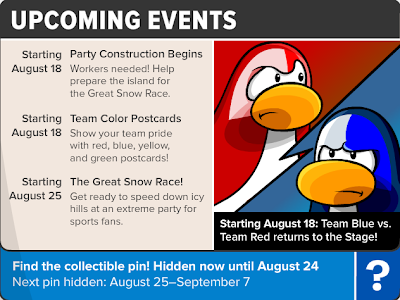 Club Penguin has released a new newspaper issue #302. The featured article is all about the upcoming Great Snow Race! Woot! 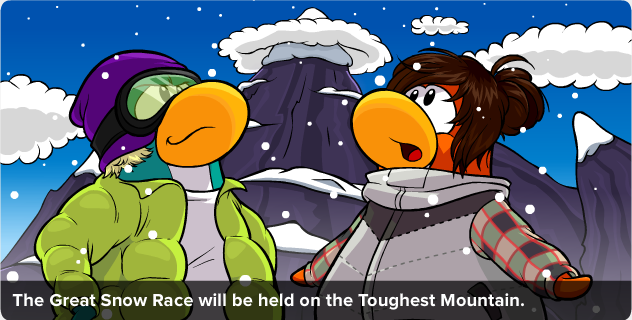 Hmm, the "Toughest Mountain? Is that next to the "Tallest Mountain?" This NEW party will begin on August 25th! And, last year parts of the Mountain was for members only, but this year, it will be open for EVERYONE! Woot! The real question is what type of "race" is it? Make sure you have your buddies to help you solve puzzles! SECRET MESSAGE HIDDEN IN THIS NEWSPAPER! CLICK HERE FOR DEETS! Don't forget your sledding gear for the Great Snow Race! Remember, items in the catalog are for both boys and girls! And, don't forget to practice! Something BIG is coming! Ur awake at 3:32 that's early!! !